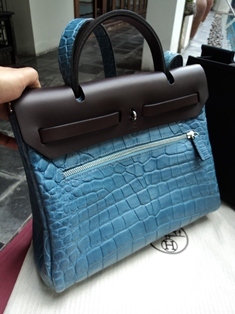 "fashion comes and goes,...style remains...."
drk pink in another version of envelope clutch..
such a good looking bag without the help of "logo"
I own the Hermes Her Bag in the cream and black canvas. 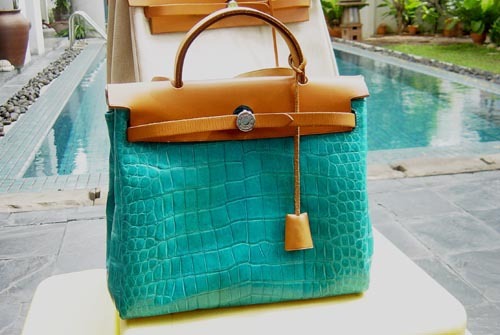 What I did is tie in a bow a men's Hermes tie that shows the Hermes logo. 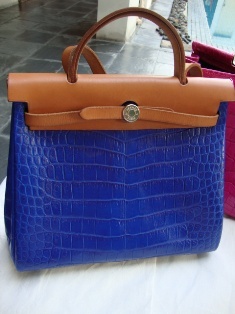 I get so many compliments on it since I put it on. 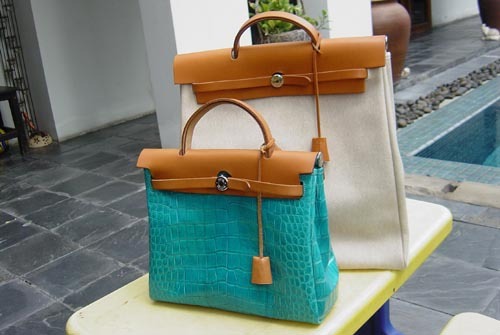 I am canvasing for some new bright Hermes ties to change the look. 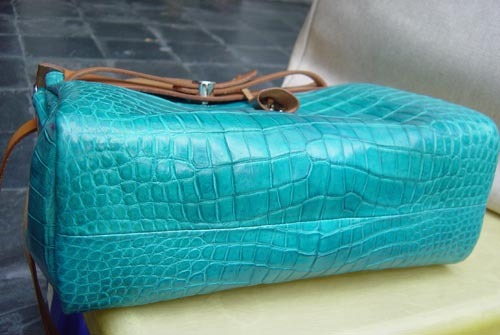 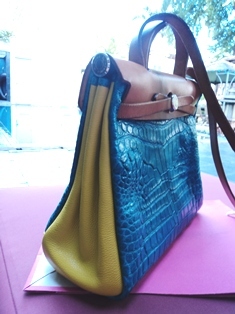 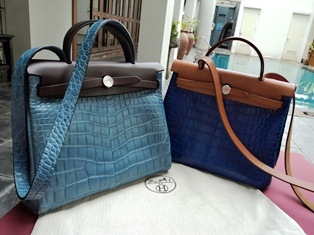 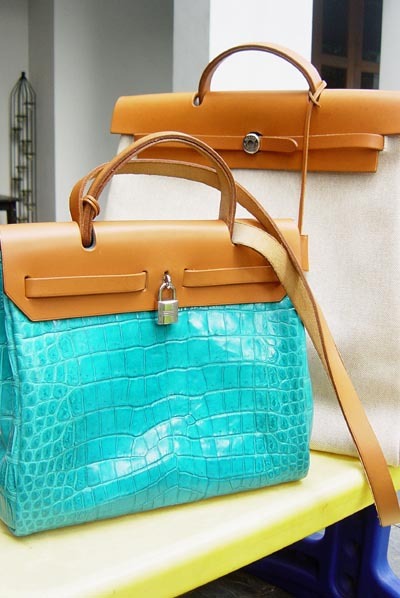 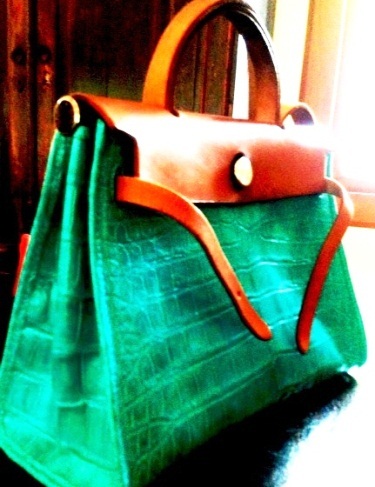 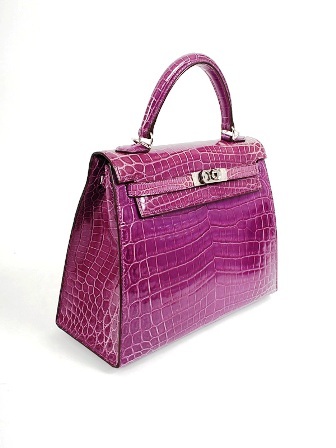 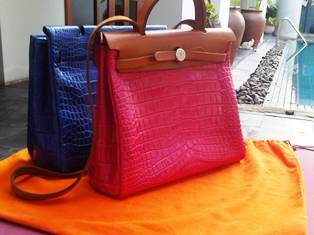 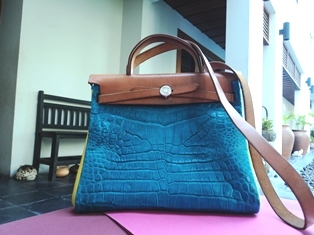 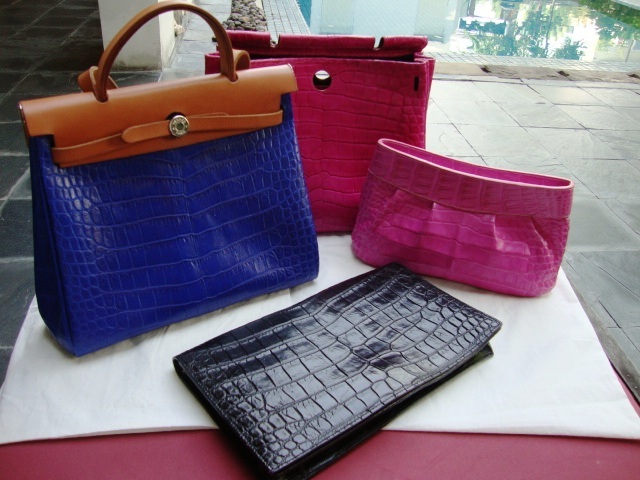 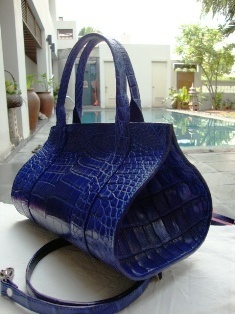 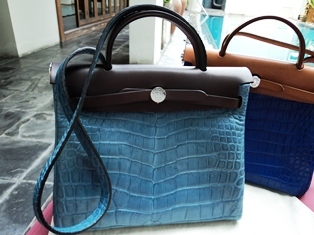 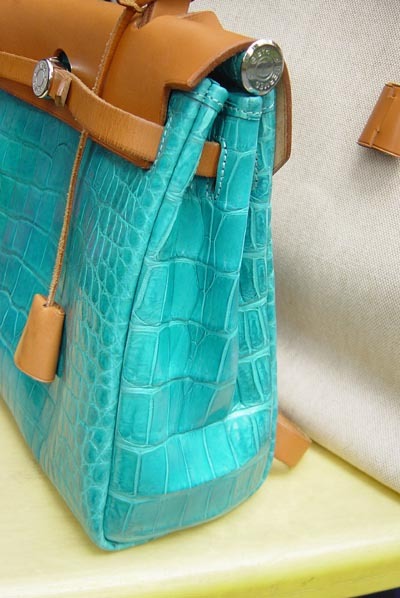 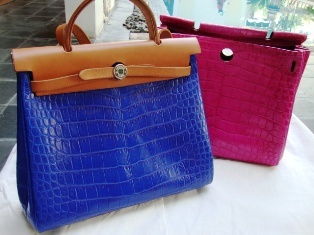 aquamarine croc her bag in glazed finish really cool.